Yesterday I arrived in Edinburgh and tomorrow I begin a tour of gardens in southern Scotland and northern England. This tour is similar to one I hosted last September, which means I’ll be taking this year’s group to many of the same places I visited then. 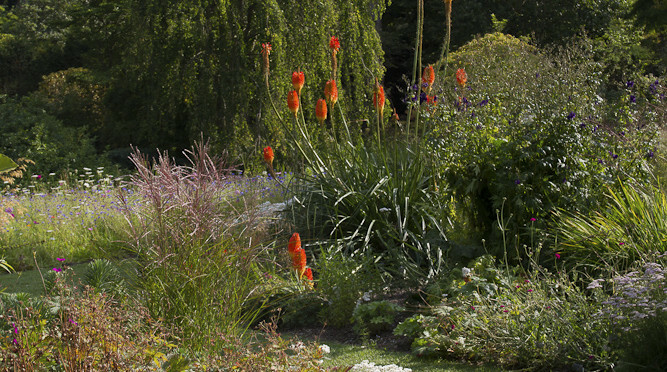 On the 2015 tour I was seeing some gardens for the first time; others I had been to before. So this year I’ll be visiting some gardens for the second time, some for the third, some for the fourth or fifth. Like the song says, will I find them lovelier the second time around? A friend once asked me whether it was boring to re-visit a garden. I smiled and said no. Because you never step in the same river twice. Regardless of how many times I visit a garden, it’s different every time. In important ways it is not the same garden and, seeing it for the second or third time, I’m not the same person. The weather, the light, the season, the time of day; the people around me, their moods and mine — all combine to make each experience unique. Far from finding it boring, I count myself lucky when I revisit a garden. 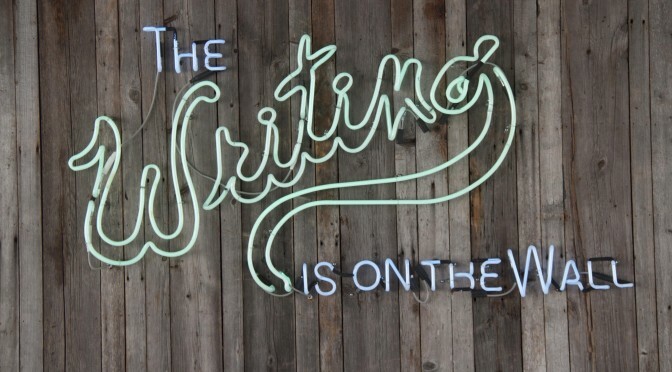 I needn’t worry about where to go, nor need I consult a map to decide whether to turn this way or that. The layout will be familiar and this frees my eyes — and my mind — to focus on what’s in front of me, or what’s behind, or above or below at my feet. It allows me to be embraced by the space, to sense it more fully, with fewer distractions. Who wouldn’t want to relax in the sunshine at Little Sparta on a beautiful warm day? Still, when I visit a garden for the second or third time, I arrive with expectations that are shaped by previous visits. Will I be delighted once again with a particular view or will I find it a let down? I can’t expect the sun to be shining as it was last year, lighting up a tree at Parceval Hall as brightly as if it were on fire. But maybe I’ll see something even better. I arrive with questions that weren’t in my mind the first time I visited. Will the same combination of wildflowers be blooming at Gresgarth Hall or has the area been planted with something else? I liked this combination of colours and textures. 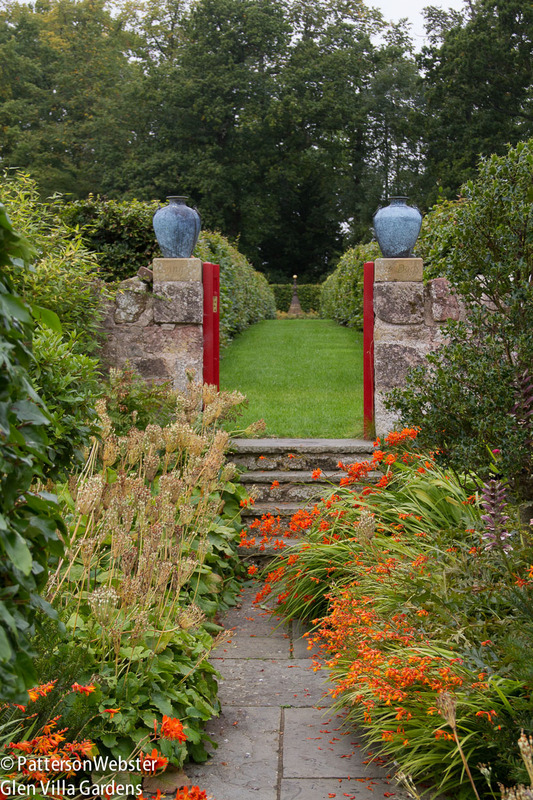 It felt looser and more relaxed than other sections of the garden at Gresgarth Hall. Will I find the second experience of a garden I loved to be as fully satisfying as the first? 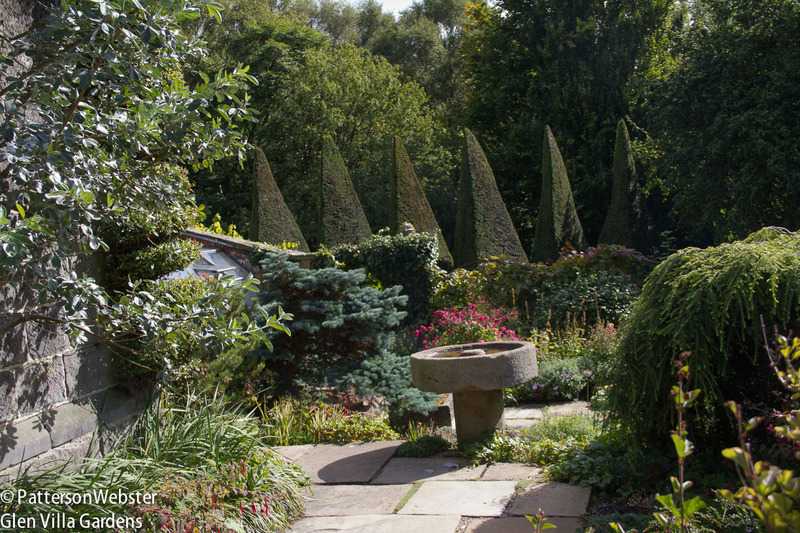 Broadwoodside, a garden near Edinburgh, inspired me in many ways. I liked the plantings. The colours of plants and architectural elements pleased me enormously. Art in the garden was positioned sensitively and to its best advantage. Plus there was a touch of humour that made the experience a true delight. 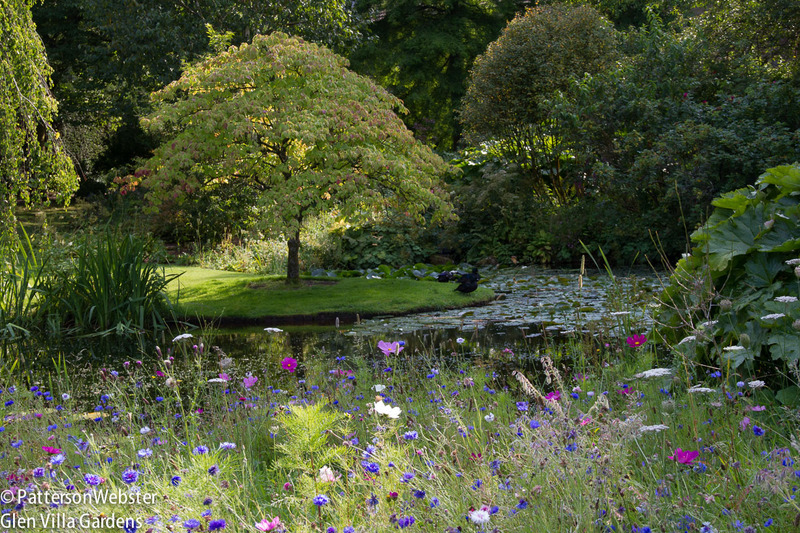 When I visit a garden for the second or third time, I can identify changes. If my visits stretch out over a number of years I can watch the garden grow and develop. The gardens at Lowther Castle were just being planted when I visited last year, and they felt as raw as you’d expect. So I’m eager to see what difference a year has made. 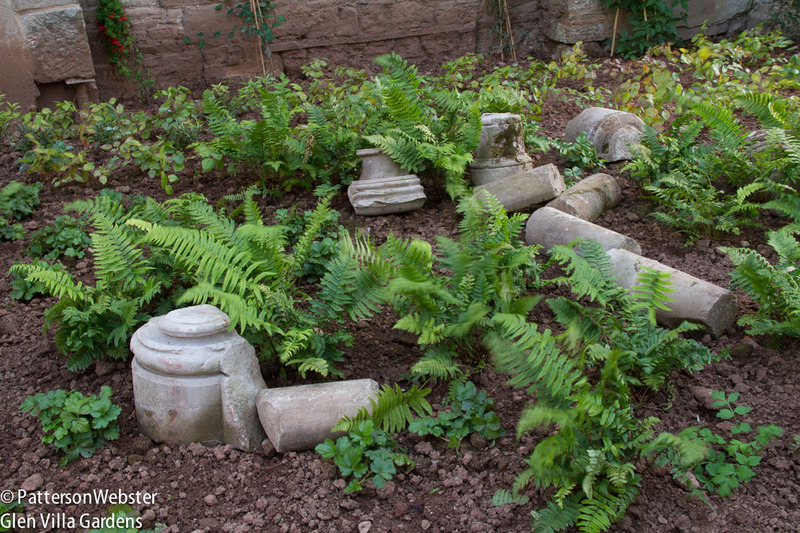 I’m eager to see how much the plants have grown but even more eager to see if the fragments of columns and bits and pieces of the past that were scattered in the planting beds now feel as if they belong. Lowther Castle is a ruin, and I I like the idea of incorporating broken columns with plants inside its walls. But last year, seeing it shortly after the area was planted, I didn’t like the effect. Will it be better now? I expect so, but this year’s visit will tell. I’m eager to re-visit the Crawick Multiverse, a strange project designed by Charles Jencks on the site of open cast Scottish coal mine. It opened only two months before I saw it last year, and felt even rawer than the plantings at Lowther Castle. Will the thousands of boulders that came from the site now feel grounded or will they still sit uncomfortably on the surface, as if forced into line to tell a story that isn’t quite true? 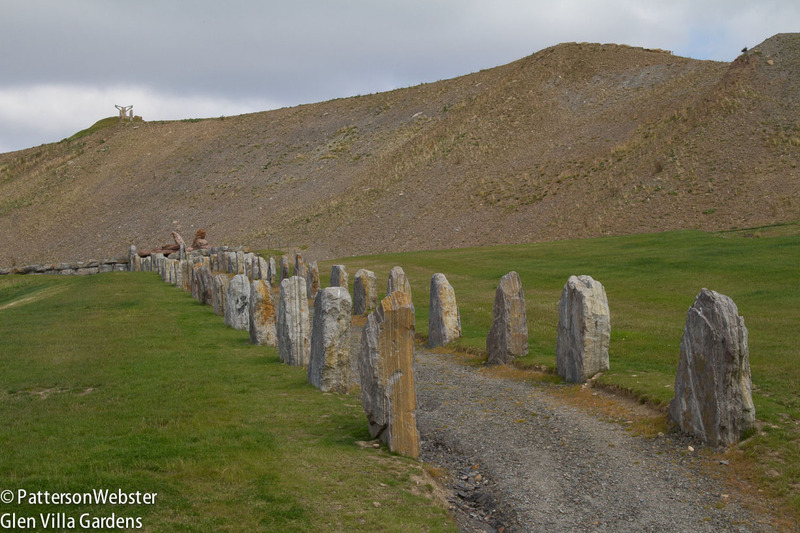 This ceremonial way is lined with boulders from the site. 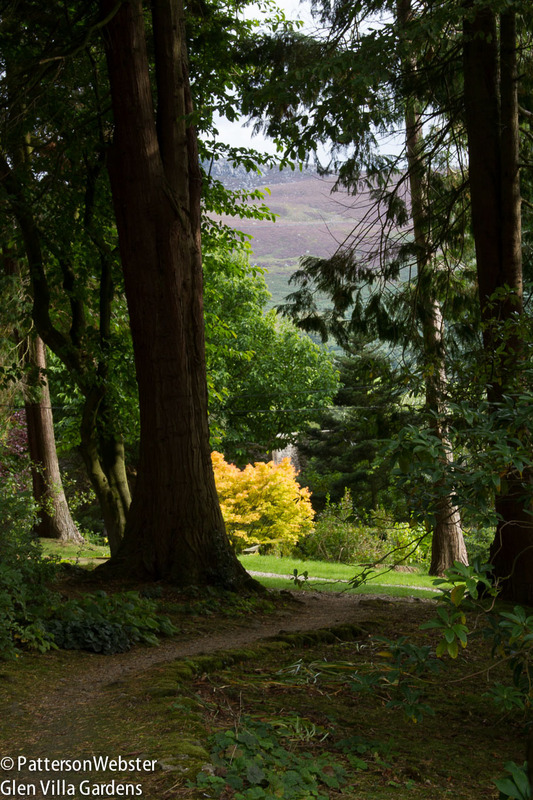 The stones are placed as they might have been in neolithic times, yet for me the path lacked the sense of mystery and awe that a real ceremonial path would have. .
I’ve been twice to Little Sparta, the garden of the concrete poet Ian Hamilton Finlay. 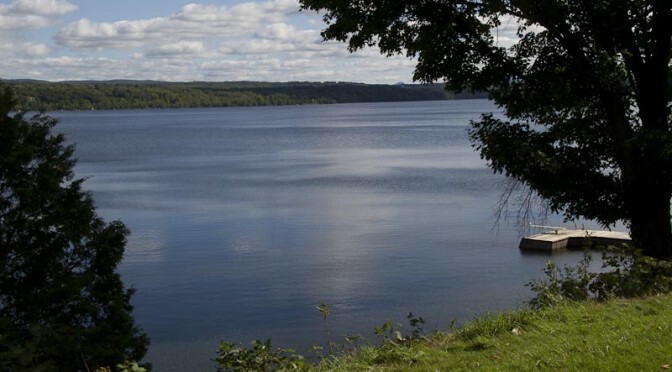 But even a handful of visits would not be enough to understand or come to terms with its complexities. This is a garden full of big themes and big ideas, where apparently contradictory extremes exist side by side. It’s less a garden than a complete work of art, a place that offers experiences that amuse, surprise and disturb. This year when I visit Little Sparta for the third time, I hope I will be able to separate my expectations from my actual responses. I hope to see it without constantly remembering what I’ve read about it, to let the garden speak for itself, and to hear what it says, even when it whispers. 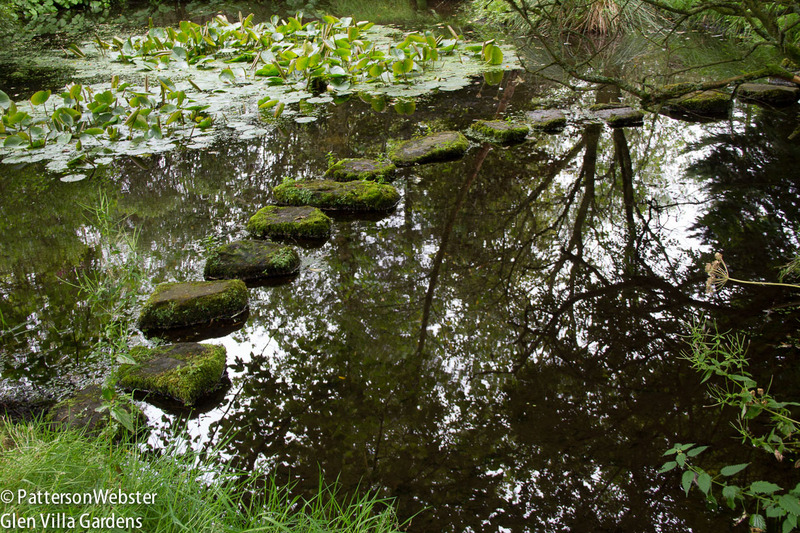 A path of stones leads across the water at Little Sparta. It takes courage to follow the path, and it takes work to understand the garden. On a second visit to the Garden of Cosmic Speculation I plan to devote less time to some of outlying areas and more time to areas I had to rush through: the walled kitchen garden where DNA features large, and the extraordinary Universe Cascade. 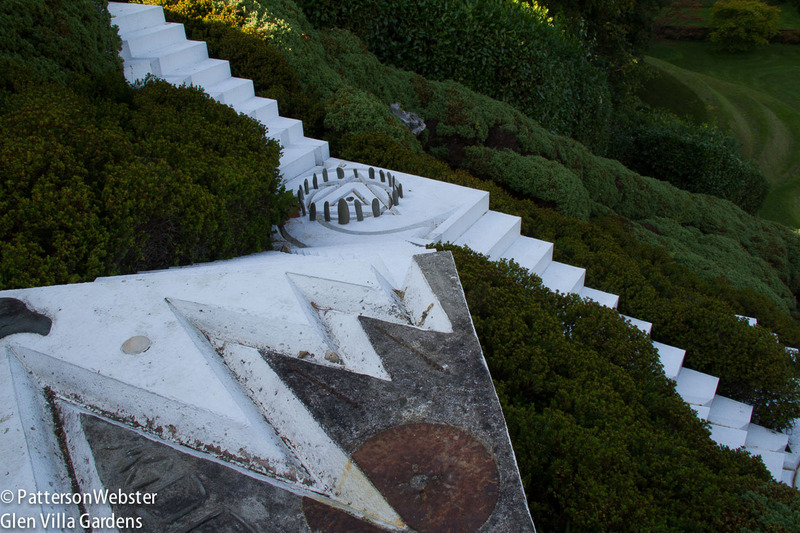 In the Garden of Cosmic Speculation, Charles Jencks explores and celebrates scientific ideas about the universe. Using these ideas, he aims to create a new language of landscape, with new metaphors that illuminate old ones. I plan to analyze Piet Oudolf’s magnificent plantings at Scampston Hall’s Walled Garden instead of simply revelling in them. I plan to spend more time at York Gate, figuring out how such a small space can contain such diversity without feeling overstuffed. Succulents fill this section of the garden. Time constraints forced me to rush through it. Visiting a garden for the first time is a special experience. There’s a sense of discovery that can never be recaptured and, occasionally, a feeling of excitement intense enough to take the breath away. Returning to a garden brings me a different kind of pleasure. I can experience the place more deeply, appreciate its strengths more clearly, perhaps even uncover its weaknesses. Or uncover my own. Can a group of noisy schoolchildren spoil a garden for me, or a less than sanitary washroom? Do I like a garden more if I like the person I’m with? If its style suits my own? If so, am I being fair to the garden and to those who created it? What about the weather? I’ve visited Castle Howard in the sun and in the rain, on cool days and on hot. I’m not sure which conditions I preferred. Or whether I need to have a preference. When I visit a garden, I focus on my surroundings. I look, I try to understand what I’m seeing, to appreciate the garden’s character and spirit. At some point, I make a judgement — this I like, this I don’t. Every visit increases my knowledge and hones my responses. At the same time it helps me to see myself more clearly and to understand why I respond as I do. 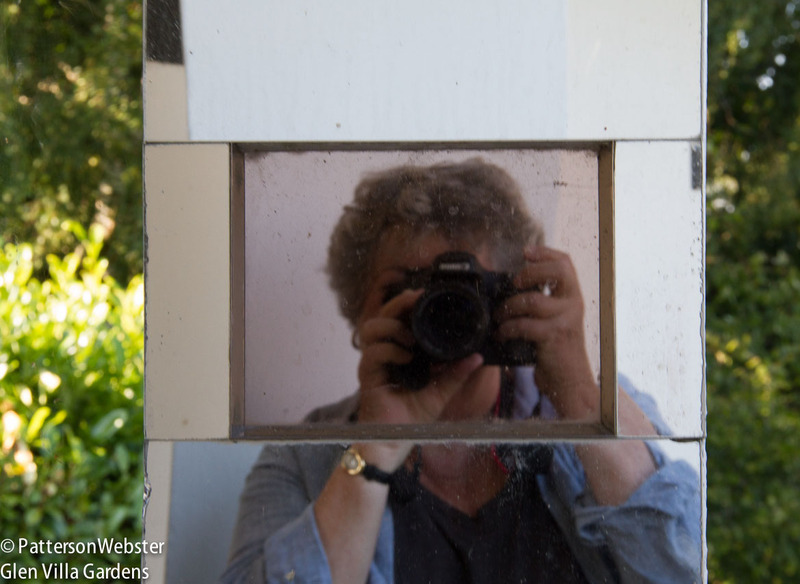 Seeing a garden can be like seeing yourself in a mirror. Sometimes you like what you see, sometimes you don’t. What about you? Do you like visiting a garden many times or is once enough? How much do your expectations colour your experience? If someone is taking you through the garden, can their accent or the tone of their voice turn you off, or turn you against the place itself? 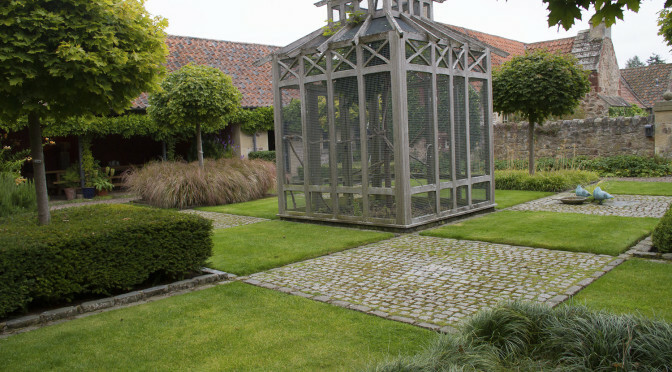 If it’s a garden that is highly praised, do you feel obliged to agree with the general opinion or are you willing and able to express a contrary view? Or do you simply relax and enjoy the experience, regardless of what it brings?